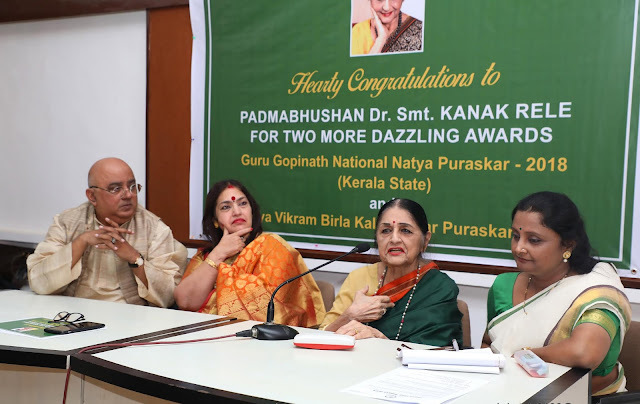 Founder-Director of Nalanda Dance Research Centre and Founder Principal of the Nalanda Nritya Kala Mahavidyalaya (Mumbai), Dr. (Mrs.) Kanak Rele (age 81); one of the most highly recognised and honoured Indian Classical Dance Exponents, a Pioneering Dance Educationist and a Noted Dance Scholar; has once again received recognitions for her significant contribution to the Classical Dance Form – Mohini Attam, which is also known as Mohiniattam or Mohiniyattam. 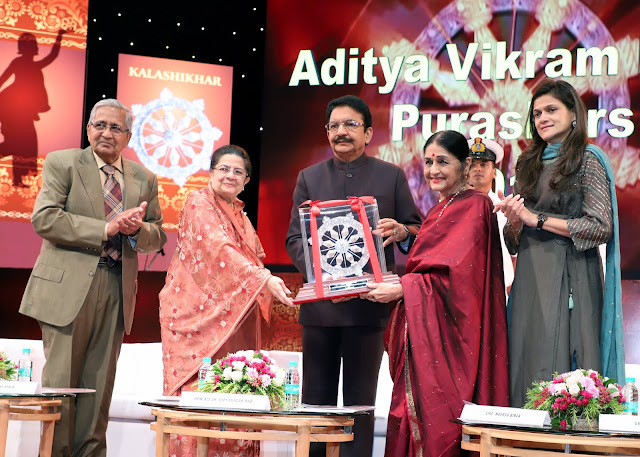 Department of Kerala; and Aditya Vikram Birla Kalashikhar Puraskar – instituted by the Sangit Kala Kendra headed by the Birla Group Director, Rajashree Birla. Since time immemorial, Indian dance forms had gained popularity not only inside the country but also at different parts of the world. However, with passage of time, many of these classical art forms faded due to lack of adequate sponsorship and systematic conservation efforts. Dr. Rele, a qualified lawyer and researcher in International Law at the University of Manchester U.K., also took up the cause to promote the Mohini Attam dance form and received her Ph.D. from the Faculty of Fine Arts, University of Mumbai. Ford Foundation and filmed the traditional dances of the surviving exponents of Mohini Attam. She critically analysed this recorded data with diligent care in light of the ‘shastric’ (classical) tenets and arrived at an authoritative format for the technique of Mohini Attam. 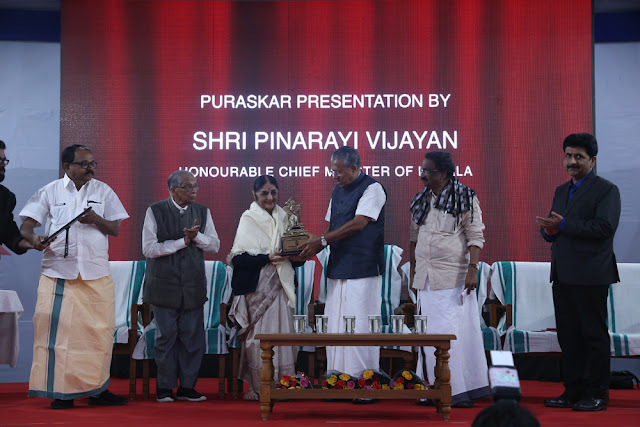 Thus, she revived the old and almost forgotten dance items of the Kerala tradition, and cast them in Sopana (a form of Indian classical music that developed in the temples of Kerala) mode. With her deep knowledge of the technique of the ‘shastras’ (works of sacred scriptures) and native creative brilliance, Dr. Rele has choreographed more than 50 of these items. Thus, Mohini Attam now has a rich repertoire that it can claim all to be its own. Erstwhile, Dr. Rele received many significant recognitions for her work including Padma Bhushan in 2013; Padmashree in 1990; Sangeet Natak Akademi Fellowship – Akademi Ratna in 2013; Nrityachoodamani, Madras in 1978; Nartan Vilas, Sur Singar Samsad in 1983; Gujarat State– Gaurav Puraskar Award in 1989; Sangeet Natak Akademi Award in 1994; Vice President’s Citation as Best Choreographers in 1995; and Sarangdev Fellowship in 1995. Maneesh Jhawar, Founder & CEO, QualityKiosk Technologies felicitated as a Leader in Digital Quality Engineering at Times Power Men – West India 2018 by celebrity Dia Mirza. 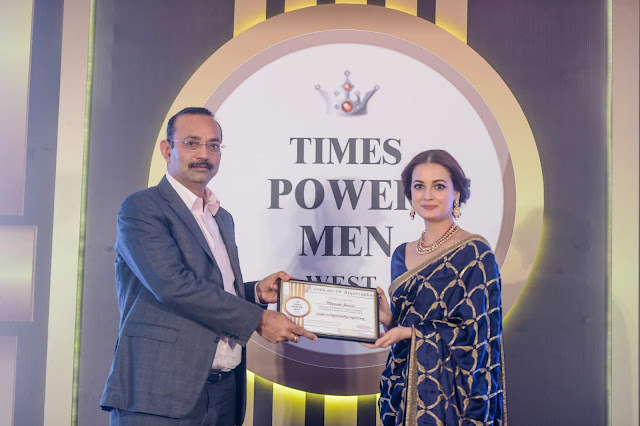 Maneesh Jhawar, Founder & CEO, QualityKiosk Technologies was felicitated and honoured as a Leader in Digital Quality Engineering at Times Power Men – India 2018, at an awards felicitation ceremony held recently in Mumbai. The felicitation was based on the contribution of QualityKiosk Technologies in the software testing industry. QualityKiosk Technologies is a leading software quality assurance and performance testing company started by Maneesh Jhawar, an IIT Kanpur graduate who sensed a need-gap in the software performance engineering space. The company offers end-to-end digital and enterprise quality assurance solutions for banking, financial services, insurance, retail, e-commerce, government, automotive and telecom verticals. Mr Jhawar’s constant emphasis and personal commitment towards governance, best-in-class business practices and constant innovation is the foundation that has helped QualityKiosk establish superior credentials with clients consistently. His customer centric attitude is based on the philosophy of treating customer’s business challenges as his own which inspires each of his employees to work towards business outcomes for clients. Times Power Men – India 2018 celebrated male achievers who made it their mission to serve society. It honoured such men who have brought about positive changes not just in their personal lives, but also in society. QualityKiosk Technologies is one of the world’s largest Digital Quality engineering partners and pioneers in performance engineering for largest Banking and Financial Services, Telecom and Automobile clients. It was founded in the year 2000 by IIT-Kanpur graduates. The company offers end-to-end digital and enterprise quality assurance solutions for banking, financial services, insurance, retail, e-commerce, government, automotive and telecom verticals. QualityKiosk counts more than 50 of the Fortune 100 of India and 18 of the Fortune 500 companies across the globe as clients. With 150+ clients across various verticals across geographies, some of their clients include IDFC Bank, TATA AIG, Manulife, Tata Motors, Bharati-AXA, South Indian Bank among others. QualityKiosk’s 1600+ quality assurance consultants are spread across 20+ countries in APAC, Middle East and the Far East. QualityKiosk is proud to be recognized by Gartner in their 'Build Continuous Quality Into Your DevOps Toolchains' Report 2018. Maneesh started QualityKiosk Technologies in the year 2000, after sensing the need-gap in the software testing industry. His constant emphasis and personal commitment towards governance, best-in-class business practices and constant innovation is the foundation that has helped QualityKiosk establish superior credentials with clients consistently. In his career of 26 years, his customer centric attitude is based on the philosophy of treating customer’s business challenges as his own which inspires each of his employees to work towards business outcomes for clients. Maneesh started his career with Procter and Gamble in 1990 where his achievements included setting up of a Toothpaste Manufacturing Facility for Exports in record time. Always obsessed with Quality he set up the TQM (Total Quality Management) practice at P&G’s flagship manufacturing facility. He then founded his business Maneesh Pipes Private Limited, an EPC company for large water supply schemes and piping solutions for all industries. He is also an investor and on the Advisory Board of three companies in Mobility, Data Analytics and e-Commerce space. A B. Tech from IIT Kanpur, Maneesh has also completed a program on “Transforming Professional Services Companies” from Harvard Business School. Maneesh enjoys reading books and has a collection of 1000+ classics. He is the President of MPM Trust which runs one of the largest community centres in Navi Mumbai. Minimalistic furniture is what the customers currently seek out with the rising trend of implementing open living spaces in home interiors. 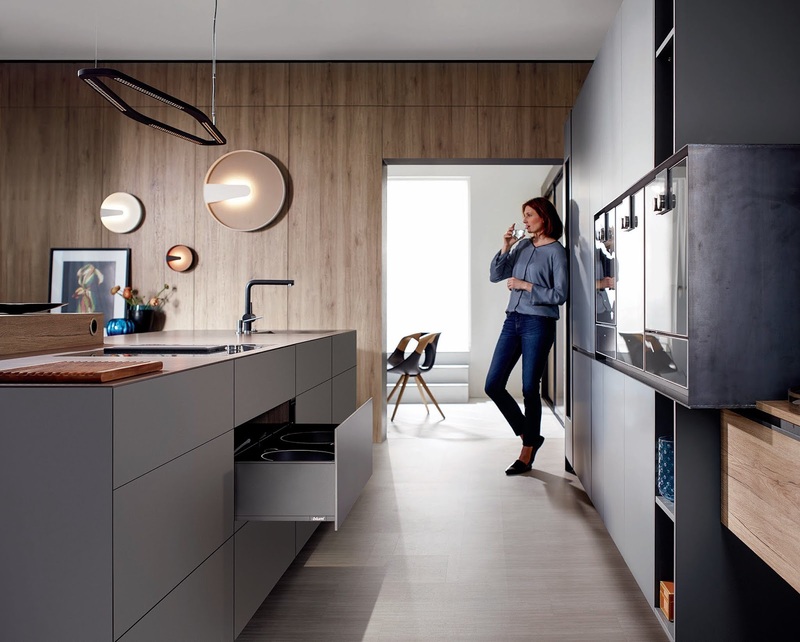 Häfele in partnership with Blum, continues to provide innovation with German Design Award winning solution, a single fixing system which can enable wall cabinets, doors and pull-outs to have extremely thin fronts – Expando T. The fronts can be as thin as 8 mm and can be made up of any material, such as Dekton by Häfele, chipboard, HPL or ceramics. This latest innovation provides the customers with the ability to implement their own design ideas and stand out even more with bespoke solutions using fittings from the new range. Chicken Masala’is the new single from BEMET, and like all of his songs, it’s contagious from the first second. BEMET’s sound signature is all over this one, as well as his famous humoristic vibe with the trade mark of his custom made golden keytar for this video. Chicken Masala is about the famous Indian dish (obviously), and about the similarity of the Indian culture and the Middle Eastern one. The song’s video was shot in a few amazing locations in Punjab, and the leading role is played by no other then the Indian famous actress/singer Sara Gurpal. It includes sequences regarding women power and about the colorful culture of the Diwali holiday mixing the epic Holy festival along with the hectic character of BEMET. BEMET was discovered by the Indian audience on 2016 after a remake he made for ‘Mumbai Dance’ by the huge Indian DJ artist Nucleya which became a net sensation. 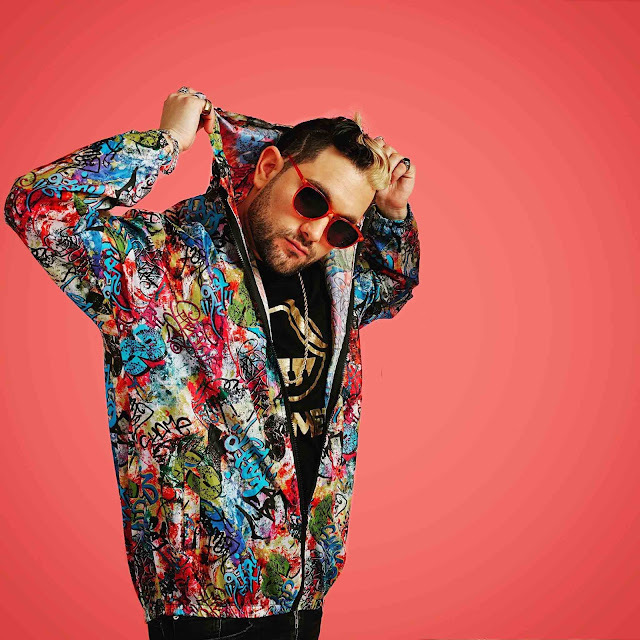 After playing massive huge stages around the world and being opening act for Major lazer, On October 2017 BEMET released his single/ video – ‘Sababa’. The video was shot in India during BEMET’s tour on summer 2017. With over 1.5M views on YouTube and great reviews on Times of India, EDM magazine Grapevine and a coverage of BEMET’s 2018 Indian winter tour by Viral Bollywood TV,there is a great anticipation from BEMET’s Indian fans for a new single. During BEMET’s last Indian tour, BEMET filmed the video of his new single ‘Chicken Masala’. BEMET will close 2018 with a highly anticipated show in Sunburn Festival 2018 India launching his new single Chicken Masala. 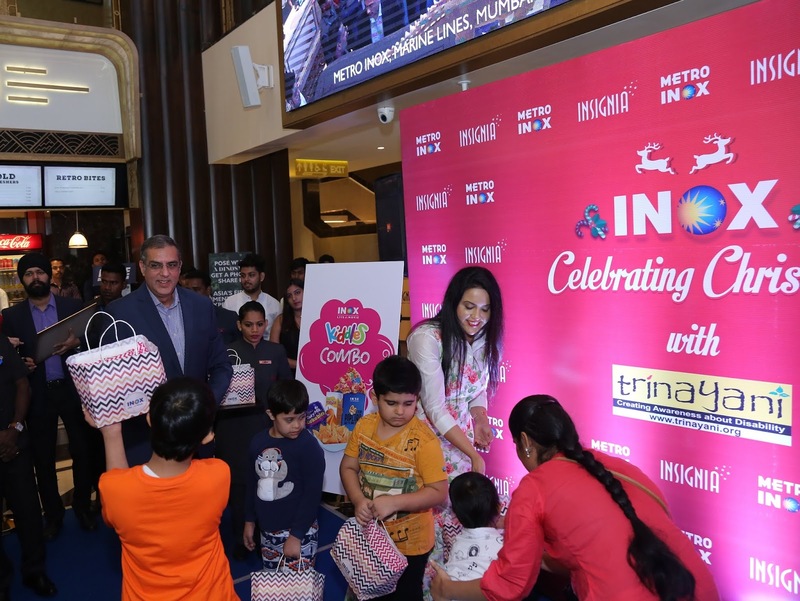 The season of good cheer began with INOX Leisure Ltd, India’s leading multiplex chain, endeavoring to bring happiness into the lives of differently abled people with two unique initiatives at METRO INOX. To celebrate World Disability Awareness Month, INOX organized a special movie screening of ‘ZERO on December 23 rd with 100 differently abled guests. On Christmas Day, 25 th December, INOX was privileged to have the presence of Social Activist, Singer and wife of Maharashtra Chief Minister Devendra Fadnavis - Amruta Fadnavis. A special Christmas was celebrated in presence of kids from NGO Trinayani. Together the kids livened up the festivities with their heartening presence and decorated the Christmas tree with sparkling lights, stars, mistletoes and crystal ornaments. The well decorated X-mas tree became a great sight and lit up hearts immediately. They later joined to watch Zero at Kiddles at METRO INOX. INOX Leisure Limited (INOX) is amongst India’s largest multiplex chains with 134 multiplexes and 546 screens in 67 cities. INOX has redefined movie experiences in India making it truly a 7-star experience. Each INOX property is unique with its own distinct architecture and aesthetics. Beyond the normal screens, INOX also has INOX INSIGNIA for the discerning audience or KIDDLES for young patrons at select locations. INOX also boasts of bringing the very latest in projection and audio technology with INOX Laserplex, IMAX & INOX ONYX. Some of the key multiplex features include plush micro adjustable leather recliners with a butler on call facility, gourmet meal choices by celebrity chef, designer staff uniforms and many more. For easy and convenient ticket booking, INOX offers online booking on www.inoxmovies.com and through its smart phone applications across Android and Apple platforms. 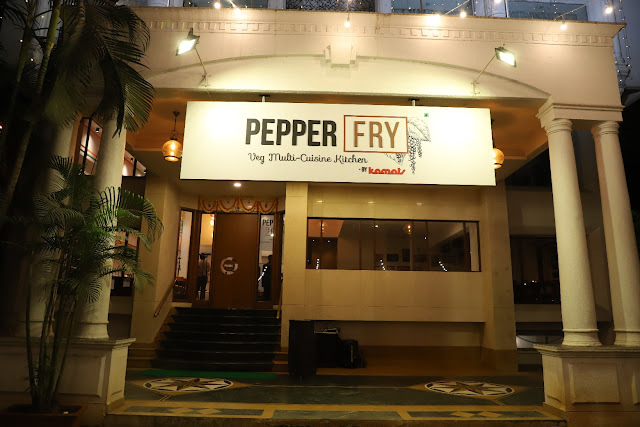 Kamats Group, India’s largest pure vegetarian restaurant chain has now launched ‘Pepper Fry by Kamats’ at Eastern Express Highway, Opp Ramkrishna Nagar, New RTO, Thane. The multi-cuisine restaurant offers contemporary dining experience boasting of eclectic mix of Indian and International flares. Variety of Peppers and fresh ingredients are the center elements of food preparations which are locally and internationally sourced as per their seasonal availability. The interiors give a warm friendly ambience with palatable cuisine choices that will tickle the most discerning taste buds. 'Pepperfry by Kamats' was conceptualized as a fun and casual neighborhood restaurant that celebrates a creative spin of world cuisine and regional flair. The sweet aroma of spices from the kitchen and interactive dining elements create an inspiring vibe. The menu comprises of a variety of handpicked authentic cuisines in South Indian, North Indian, Tandoori, Continental, and Oriental. Guests can try the Chef’s recommended flavours of Pepper to pair with their favorite food that include Parley, Garlic Ginger, Chilli Pepper, Pepper Mix and Mixed Herb Pepper. The restaurant offers delectable choices of Soups, Vegetable mains, South Indian, Fun tiffins, Chinese, Pasta, Sizzlers, Grills, International flares, Combo meals, Indian breads, Rice meals and choice of deserts. The signature specialties include Quick Gun Murgan Idli, Corn & Capsicum Gini Idli, Mumbai Tawa Masala Idli, Jini Cut Dosa, Cottage cheese Silciliana Bruchetta, Paneer Labradar, Gucchi Biryani and Mexican Chilli Salsa with cheese. The restaurant also serves refreshing Mocktails with fresh ingredients namely Aam Imli Panna and Imli Allo Bhukara Sharbat that will be available across seasons. Kamats, synonymous with healthy and hygienic vegetarian food has emerged as a symbol of quality, originality and trust. The company has captured a dominant share in the organized vegetarian family restaurant space, growing impressively over the years. Bhai Ka Birthday is one massive celebration for every diehard Salman Khan fan in the country. Salman’s birthday which falls on December 27, sees his fans from all around the world go all out to convey their wishes to the actor. From making Dubsmash videos to going all out on social media platforms and gathering outside his building dressed up as characters from his blockbuster hits, bhai’s fans have done it all. However, this year 101% Shuddh Bollywood channel Zee Bollywood has planned something special for the nation’s most loved superstar. The channel is all set to wish the actor in 101% Shuddh filmy way with the ‘Happy Bhai Day’ festival. Set to premiere from 9am, the festival will take its viewers down memory lane. Kick-starting the festival are the two movies that saw the Khan Brothers - Salman, Sohail and Arbaaz come together to create magic on the big screen. Inspired from the Malayalam film Aayushkalam, Hello Brother will air at 9am followed by their first box-office hit Pyaar Kiya To Darna Kya at 11.30pm. Writer turned director Rumi Jaffery’s God Tussi Great Ho which saw Salman’s great comic timing and spontaneity, which ended up creating magic on screen will air at 2:30pm. Directed by the writer of several successful laughathons - Anees Bazmee, No Entry is one of the few movies that concentrates on delivering powerful gags and punches throughout. This is one move that can be called a complete paisa vasool entertainer. The final movie in the festival line up which airs at 9pm was a huge hit back in the 80’s and was #relationshipgoals, #friendshipgoals for everyone who grew up during that time. Maine Pyar Kiya was a musical romance that made the audience get lost in the simple, yet beautiful love story. Watch the ‘Happy Bhai Day’ movie festival on Zee Bollywood and wish Salman a very 101% Shuddh Happy Birthday! Countdown begins: The much awaited Film Battalion 609 launches its trailer in Mumbai. Battalion 609 The movie is set to release on 11th January 2019. The URI Attacks gathered a lot of media attention in 2016 and the topic is yet a hot favourite topic of discussion. Forthcoming Film Battalion 609 is based on the incident that happened in Kashmir and the aftermath that shook the world. Amidst lot of fanfare and eminent personalities from the world of Hindi Film industry and Page 3 personalities, the Film launched its trailer in Mumbai and instantly received an overwhelming response from all present. Popular Television personality starring Shoaib Ibrahim is playing the lead and debuting in the world of films with this movie. Written and Directed by Brijesh Batuknath Tripathi and Produced by Naraindas Lalwani, the Films Music is by Shailendra Sayanti. The film stars Shoaib Ibrahim, Elena Kazan, Farnaaz Shetty, Vishwas kini, Vicky Ahuja, CP Thakur, Jashan Singh Kohli and Vikas Srivastava. The movie is releasing worldwide on 11th January 2019 by Big Curtains Media. Shoaib Ibrahim who had a successful stint in television was waiting for a special script for his debut, sharing his views, says Shoaib, “When people used to ask me when I would debut in Bollywood my only reply would be that I want to begin my innings with a script that touches my heart and Battalion 609 is exactly what I wanted to do.” Reminiscing the experiences while shooting the film has made Shoaib more emotional about the Indian Army and the Actor feels that now the respect for them has increased by leaps and bounds. At the Event Mrs. Naavnidhi.K.Wadhwa who is Mrs.Asia woman of the Universe 2018 was present and wished all the luck to the team of Battalion 609 and shared that she having studied from a military school herself has seen the difficult times the families of the Army go through and making a move with them, she feels is a very brave decision. 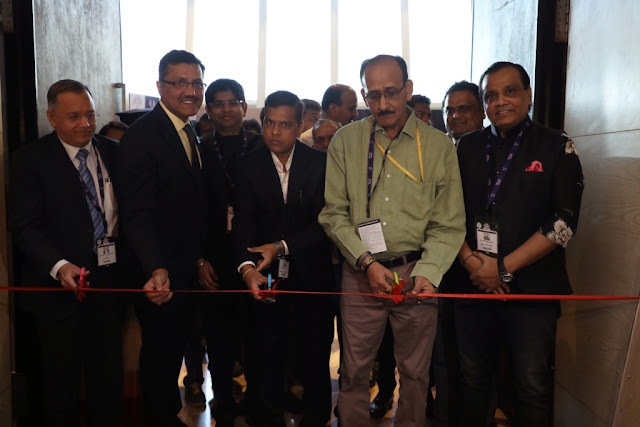 UBM India, the largest organizer of jewellery fairs in India, commenced its preview B2B jewellery fair in the financial capital – the Mumbai Jewellery & Gem Fair (MJGF) at Hotel Sahara Star, Mumbai. The expo is well-supported by prominent jewellery associations – GJC, Mumbai Wholesale Gold Association, Surat Jewellery Association, Gem & Jewellery Association Rajkot and Kerala Association. The 3 day fair was inaugurated by Chief Guest –Shri. A.K.Jha, Jt. Director General of Foreign Trade, & Addl. Director General of Foreign Trade Mumbai; Special Guest – Shri. Mrugank M. Paranjape, Managing Director & CEO, Multi Commodity Exchange of India Ltd, Mumbai; Shri Rajendra Jain, Managing Director, Swarovski Gemstones; Shri Saiyam Mehra, Director, All India Gem & Jewellery Domestic Council (GJC); Shri Prakash Jain, President, Mumbai Wholesale Gold & Jewellery Association; Mr. Yogesh Mudras, Managing Director, UBM India and Mr. Abhijit Mukherjee, Group Director, UBM India in the presence of other dignitaries from the jewellery trade industry. The expo is an excellent platform for jewellery wholesalers, retailers, importers and exporters, jewellery manufacturers, diamond, gemstone, pearl suppliers and traders, precious metal and jewellery mounting traders and suppliers, machinery manufacturers and representatives from various trade and governmental organizations, to come under one roof to meet, connect, network and grow their businesses. The fair has delegate representatives from Tier I, II and III cities in neighboring and other regions. Mumbai is the international hub of the jewellery industry in India that focuses on trends and offers an apt platform to showcase classic creations. To leverage the market, the MJGF featured Hosted Buyers, Buyer – Seller Meets, Artisan’s Gallery displaying unique and miniature gold jewellery, Designer Conclave, Knowledge Seminars and Exclusive Exhibitor Promotions to ensure quality audience and opportunities for continuous engagements with customers. One of the highlights of the show is the 2nd edition of the gala India’s Most Preferred (IMP) night and networking dinner to felicitate the most respected brands in the jewellery sector, scheduled to take place on the evening of Day 1. The unique IMP seeks to discover customers’ favoured jewellery brands through a survey based on vital parameters such as jeweller trust factor, collection & range of products, brand recommendation, service quality, and overall brand recognition and recall. Some of the top brands recognized by the industry are HK Jewels, Derawalas, Laxmi Diamonds, Rosy Blue and Kamaschter amongst others. Scheduled for Day 2 and 3, are technical seminars by Gem and Jewellery Skill Council India, HP INC and Retail Gurukul – the Knowledge Partner on topics such as ‘Z Solutions for Gem and Jewellery Vertical’; ‘Best Practices in Retailing’; ‘What Will Make Indian Gems and Jewellery Industry a True World Leader?’ and ‘Digital Experiences’. Some of the prominent exhibitors at the fair include Unique Chains, De Beers, Blue stone, Mukti Gold, Jai Gulab Dev, Bhindi jewelers, Agarwal Gems, Bhawani Gold, Forevermark Diamonds Private Limited, Godrej, Gold Craft India, Gold Mine Aarzu, Mahek Gold, Mangalmani Jewellers Pvt Ltd., Noraah Jewels Private Limited, Rajeshree Creations, Rosetta Diamond Jewellery Private Limited, S K Seth Company Jewellers, Silver Emporium, Soni Nanalal Bechardas Jewellers, South India Jewellers, and Sukh Bangles & South India Jewellers Chennai, to name a few. 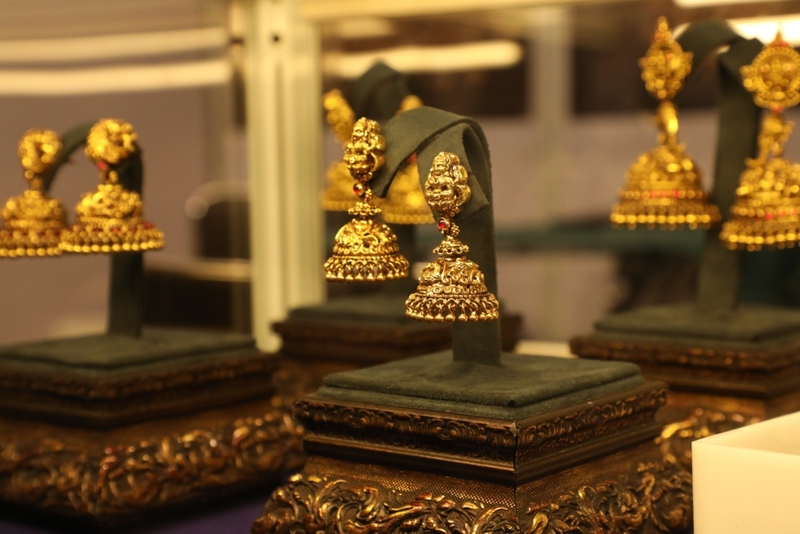 The MJGF is one of the five-city jewellery shows (Kolkata, Chennai, Hyderabad, Mumbai and Delhi) that is hosted throughout the year by UBM India. Internationally, UBM plc organises the World’s Biggest Jewellery Trade Event – The Hong Kong Jewellery & Gem Fair. Shri. Mrugank M. Paranjape, Managing Director & CEO, Multi Commodity Exchange of India Ltd, Mumbai: I would like to congratulate UBM India for the outstanding effort in bringing together the jewellery industry in Mumbai with this preview edition of MJGF. It is indeed a great opportunity to connect and network. Gold is still the best hedge against inflation. And I would request the community to create products in terms of price hedge. Shri Prakash Jain, President, Mumbai Wholesale Gold and Jewellery Association: I think UBM India has done a good job with organising the MJGF. This is the heartland of the sector and an endeavour like this was necessary. We look forward to many more such new ventures in partnership with UBM India. Shri. A.K.Jha, Jt. Director General of Foreign Trade, o/o Addl. Director General of Foreign Trade Mumbai: I have attended so many jewellery shows in the city but the MJGF is unique. What makes it different is the sheer number and variety of activities onsite to engage the community. The jewellery sector provides a big boost for employment and Forex earnings. With shows such as this, UBM India is helping to create a lot of jobs and opportunities in the Gem & Jewellery sector. Shri Rajendra Jain, Managing Director, Swarovski Gemstones: We have had a long collaboration with UBM , including at the Hong Kong Jewellery Fair. With their plethora of jewellery fairs globally and in India, they have immense expertise and are the world’s best events organisers. It is a great move to have the show back in Mumbai. Shri Saiyam Mehra, Director, All India Gem & Jewellery Domestic Council (GJC): Consumers come from all across India to buy jewekkery from Mumbai so I am happy to see the very well-organized preview edition of MJGF. By supporting this industry and its business, our karigars and factories get more orders. I would recommend that we should target retailers and wholesalers from more remote parts and showcase more varieties of jewellery. Roll Models Skaters and Ample Missiion came together and made it possible for a new Word Record to be achieved on December 22, 2018 here in Mumbai .The Skating record comprised of two parts – where in 11 kids are engaged in Zig Zag Roller Skating while dribbling the Basketball whereas one Kid “Jash Sarode “will do inline skating with Hoola Hoop while he is blindfolded – which makes him the only one kid to have accomplished this till date for the first time in Skating. Rishi Sarode - Founder & Director, Roll Models Skaters, has been skating for last 34 years and has represented India Worldwide numerous times by creating several world records and is India’s finest skater as per various Reports & Reuters. Rishi Sarode believes that learning is an ongoing process and is very passionate about inculcating his values and teachings in his students. Speaking on the occasion Rishi who comes from a humble background says, “I am very proud and happy that my students have today achieved what no one else has so far and happy as I know the amount of dedication and passion it took these little ones to put in practice, has finally paid off.” As per Rishi, today parents have realised the importance of Sports ad Skating and result is Rishi alone has coached thousands of students; be it of Celebrities, Politicians, Bureaucrats or the Common Man. 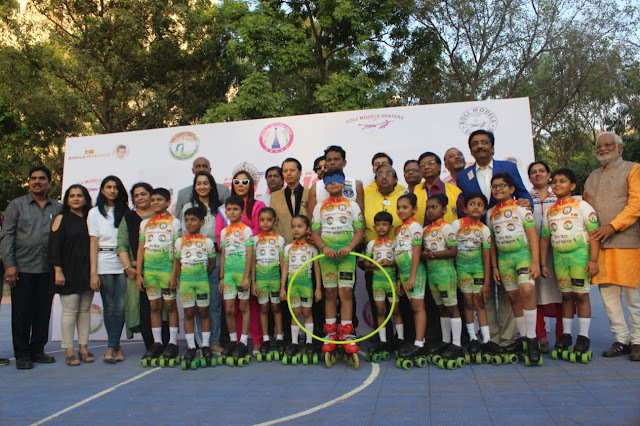 The World Record on December 22, 2018 has been created at Powai, in front of the Record Officials, School Principals and Parents of Kids and amidst a lot of supporters who were present to cheer the kids. Kids who participated in the Record are Jash Sarode – 9 Years, Advait Salaskar-8 Years, Durva Thakker-5 years, Aaryan Shukla-5 years 11 months, Vedant Gupta-8 years 03 Months, Swatit Dungaria- 7 years, Saesha Satawat-7 Years, Kiaan Shaikh-7 years 11 Months, Rehaan Khan-7 Years 09 Months, Jainish Gajra – 9 Years 05 Months, Kiara Ambani-7 Years 02 Months, Sarana Nadar-7 Years. Bubble Communication supported the Event in form of Communication Partners. COMIC ENTHUSIASTS WITNESS A GALA UNFURL AS THE 8th MARUTI SUZUKI ARENA MUMBAI COMIC MADE ITS COMEBACK! · An iconic Cosplay Contest for Day 1 which amassed a pool prize amount of INR 1 Lakh, including the whopping first prize of INR 50,000. Comic Con is back in town, and it is more epic than it has ever been! Fondly referred to as #TheBestWeekendOfTheYear, Maruti Suzuki Arena Mumbai Comic Con is back with its eighth edition, treating pop culture fans to sheer awesomeness. 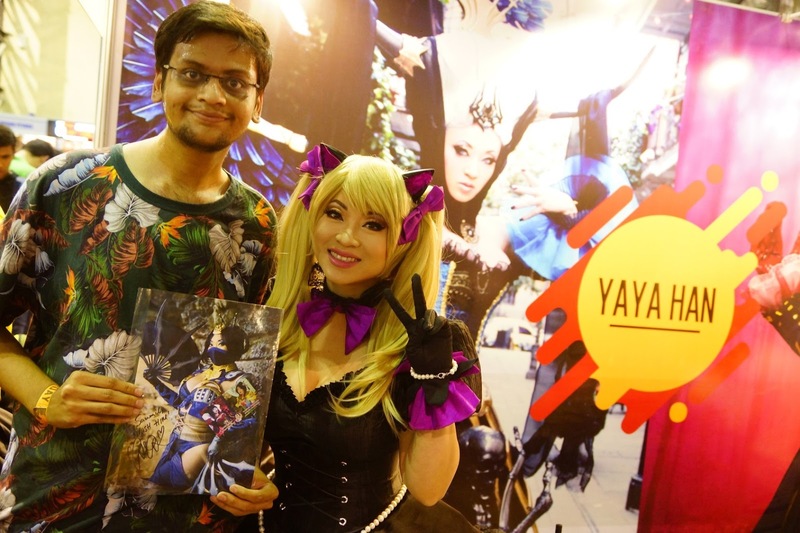 Comic Con Mumbai promised the best of experiences for every avid comic fan ever and a glimpse of the same has been seen this Saturday, as enthusiasts thronged the Bombay Exhibition Center to attend the opening day of this highly anticipated pop culture extravaganza. Among the most exciting segments of Comic Con that every comic aficionado looks forward to, book launches certainly rank first. Assuring a plethora of these to the fans, Comic Con Mumbai had a brilliant lineup of exclusive book launches! The book launch session began with ‘Magic in Mussoorie’ by renowned publisher Penguin Random India House. There was also an intriguing special session held by Lawtoons and artist Abhijeet Kini titled ‘Comics and the Law’. Abhijeet Kini also introduced his series ‘Rhyme Fighters’ along with ‘Sanskarshala’ and ‘The Dabbawala Comic’. This was followed by the launch of ‘Blame it on Rahil’, an amazing collection of artist Rahil Mohsin’s work so far. TBS Planet also debuted their brand new series ‘The Pune Haunting’. Later on, an interesting comic book based on the life of legendary wrestler and politician Dara Singh, called ‘The Epic Journey of Dara Singh,’ was released by his son Vindu Dara Singh along with the team behind the book. Decked up with such amazing launches, the first day of Comic Con Mumbai 2018 was definitely a paradise for graphic novella and comic fans in the Maximum City! The opening day of Comic Con Mumbai also hosted some of the most wonderful interactive sessions for the attendees to enjoy. Will Conrad, Brazilian comic book artist famous for Buffy series as well as his association with Marvel and DC, held an insightful meet-and-greet session with his fans. To bring about a fun quotient to this evening, Sahil Shah of the EIC performed a special set. This was followed by a special performance by comedians Jasmeet Singh Bhatia aka Jizzi and Talha Siddiqui. Among other special sessions that were held, Radio One, We Bare Bears, extremely bold session by Doritos, XP Pen, Sony Pix, Games the Shop, AXN Live R.E.D., Pocket Box Office, and The Timeliners from TVF deserve a distinct mention each! As the sun set, the event witnessed a vibrant sight, as the highly talented cosplay artists huddled together in the Arena to compete on Day 1 of the Cosplay Contest which amassed a pool prize amount of INR 1 Lakh , including the whopping first prize of INR 50,000. Additionally, these cosplayers battled each other to win a coveted chance of representing the city at the Indian Cosplay Championship 2019. The winners would also get an opportunity to represent the country at the Crown Championship of Cosplay to be held in Chicago. The 8th Maruti Suzuki Arena Mumbai Comic Con also had an exclusive fan experiences to offer through zones from renowned names such as Maruti Suzuki Arena Vertical Challenge, Marvel Studios, Amazon Prime, Hot Wheels, Doritos, AXN and Sony Pix, among others. Filled with the best of merchandise, interactive sessions, energetic fans and an electric vibe, Comic Con Mumbai ensured that the attendees had a gala time as they prepare themselves for the second day, which also marks the last day of this extravaganza for the year. Comic Con India is a unique event celebrating the illustrated medium, which brings together the whole comics industry and related fields such as Merchandise, Toys, Games, Films and Animation, along with fans of this culture. It has now grown to multiple events across the country. The mission has now evolved to create unique pop culture events and engage with fans all across the country. The properties include Delhi Comic Con, Mumbai Comic Con, Bangalore Comic Con and Hyderabad Comic Con. Along with a traveling property - Comic Con Express, which was last held in Pune in 2016. Comic Con India (CCI) took a big leap as they recently (in September 2014) by announcing a joint venture with Reed Exhibitions; part of the FTSE listed Reed Elsevier Group, to grow the pop culture space in India and bring world class events to Indian fans. The Comic Con India team will now work closely with the ‘Reed POP’ division of Reed Exhibitions, the largest producer of pop culture events in the world. With this JV in place, CCI enters the burgeoning Reed POP portfolio of pop culture events which includes New York Comic Con, PAX, the Chicago Comic & Entertainment Expo, Oz Comic-Con, Singapore Toy, Gaming & Comics Convention and Star Wars Celebration among many others. 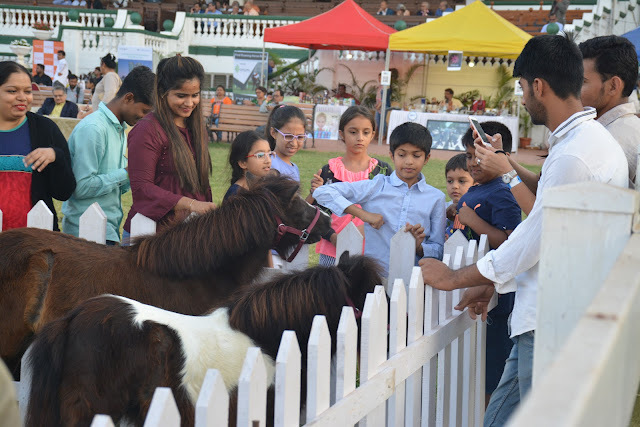 The first evening race of the season kick started with an enormous crowd enjoying the splendid horse races at the 220-acre green emerald of SoBo. A fun filled delight for children was the petting zone where children enjoyed their time with the falabella horses. 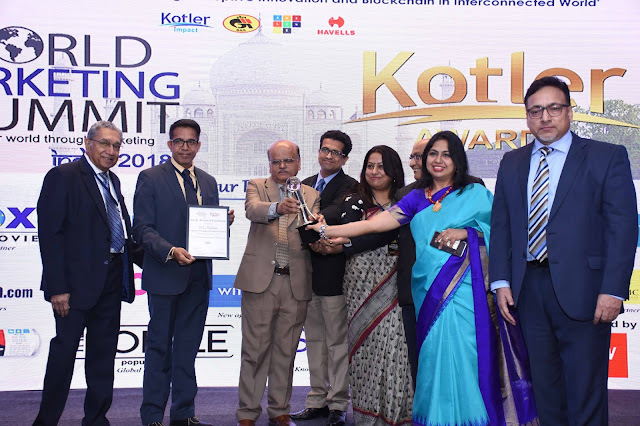 World Marketing Summit India 2018 and Koter Awards of Excellence - Kotler Impact’s flagship summit was on the theme Industry 4.0 - Transformative Marketing, Disruptive Innovation, and Blockchain in Interconnected World. This edition featured keynote sessions led by industry experts from the marketing space. Amitabh Kant, CEO, NITI Aayog delivered the special address, followed by sessions topics that followed the theme of transformative marketing, disruptive innovation, and blockchain in an interconnected world. The day-long conference was held at New Delhi and organized by Kotler Impact, a strategic marketing community seeking to employ sustainable economic development, founded by none other than the Father of Modern Marketing, Prof. Philip Kotler. The cases of business strategies were presented by the highly eminent speaker panel, which includes B S Nagesh, Chairman and Non–Executive Director, Shoppers Stop, Mansoor Ahmed, Senior Vice President, Volvo Group, Singapore, Prof. Rashmi Jain, Marketing Head, N. L. Dalmia Institute of Management Studies & Research, Vineet Singh Hukmani, Managing Director & CEO, 94.3 Radio One, Sachin Jain, Managing Director, Forevermark (De Beers), Walter Vieira, President, Marketing Advisory Services Group, Mayur Sethi, COO & Partner, WittyFeed, Sweta Patel, Founder, Silicon Valley Startup Marketing, USA, Saurabh Varma, CMO, INOX Leisure Ltd, Milind Pathak, Senior Vice President , PayTm Mall. In addition to this, there was also an exclusive interactive panel discussion on “Marketing & Cinema: A Symbiotic Relationship” with Saurabh Varma, CMO, Inox Leisure Ltd. Siddharth Bhardwaj, CMO & National Sales Head, UFO Moviez and Rajat Tyagi, CIO, PVR Cinemas with Mr Anil Prabhakar, CEO, 4 Aay’s Consulting as the moderator. Following a day of in-depth technical discussions, case-studies and specially designed panel discussions, the programme concluded with the highly prestigious Kotler Awards of Excellence which felicitated this year's best performing organizations and distinguished individuals. The Kotler Awards were developed to recognize genuine mastery in the field of marketing by celebrating exceptional achievements of marketing professionals. The winners included PVR Cinemas, Wowffers.com, WittyFeed, Dredging Corporation of India Ltd., Patanjali Ayurved Ltd., Gharda Chemicals Ltd., BW Business World and more. In addition, the event featured sponsors and exhibitors like SAGE Publishing, Free Press Journal, Divyajal, exchange4media, Zebronics, Pitch, Impact Magazine, DuniyaDigest.com, Popple, etc.